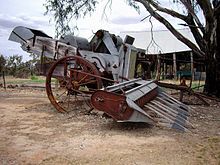 winnowing: removing the already separated parts of the crop that can't be eaten by people, the chaff, while keeping the part that can be eaten, the grain. 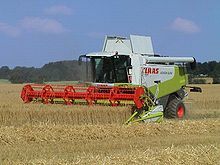 Far fewer people work in farming as a result of the combine harvester. This page was last changed on 19 December 2015, at 20:13.